According to authorities, the body cam footage allegedly shows a Baltimore police officer planting drugs, which has led to an investigation. After being alerted to body cam footage, which the public defender’s office says shows an officer planting drugs, both the police and prosecutors have launched investigations and reviews of more than 100 separate cases. It has also seen one officer suspended, and two others placed on administrative duty, and reviews of other cases in which the officers were involved. Planting drugs… is that legal? 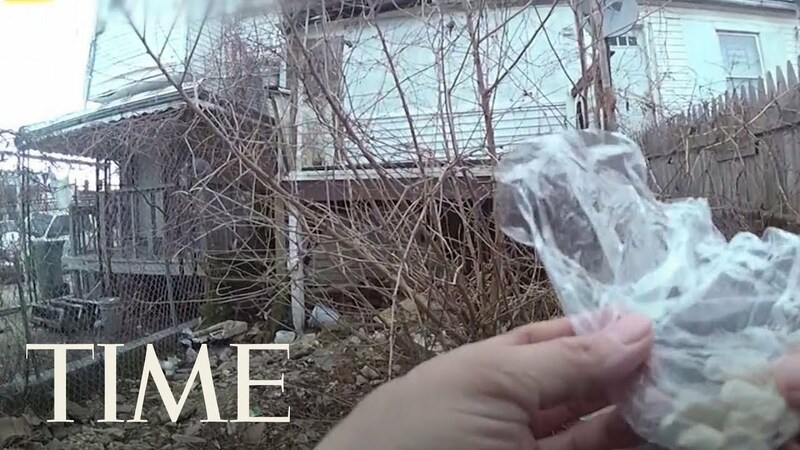 This footage, which was uploaded by the Baltimore Police, shows an officer hiding a bag of drugs in a can in a trash-strewn lot and then later “finding” the drugs, all while two other officers look on and take no action. “I’m gonna go check here,” the officer is heard saying, as he returns to the lot and is shown to pick up the soup can, where he removes the plastic bag, which is filled with white capsules. That incriminating portion of the footage was recorded before the officer activated the camera, being automatically and unintentionally recorded automatically (albeit, without audio), due to police body cams having a feature that saves 30 seconds of video before activation. During a press conference, Baltimore Deputy Police Commissioner Jason Johnson showed reporters four separate videos, which he said, “depict the incident in greater totality.” But it is the last video, which “sort of depicts what seems to be the discovery of the second bag of heroin, but in the early part of the video, it’s clear that that bag had actually been placed there by the police officer,” Johnson said.